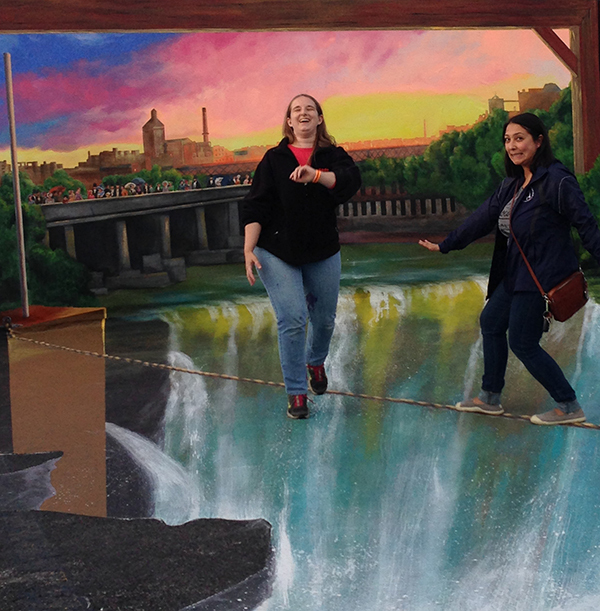 It is Fringe Festival season in Rochester again. My tried and true events to attend are the Pedestrian Drive-In and Rochester Stories. 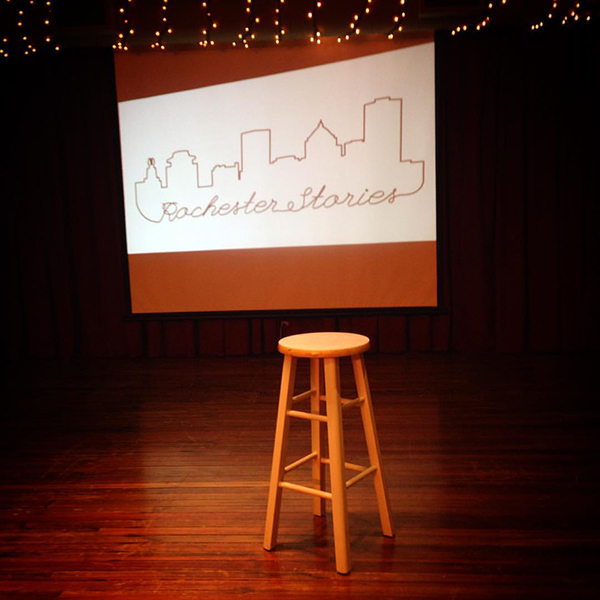 I am so proud of my friend Aprille who held her show Rochester Stories at the Fringe Festival for the third year in a row. Each year it gets better. It is always an eye opening experience to hear a story told and then have the real person revealed afterwards. There was a great kuzoo story shared by a fellow in the audience afterwards too. 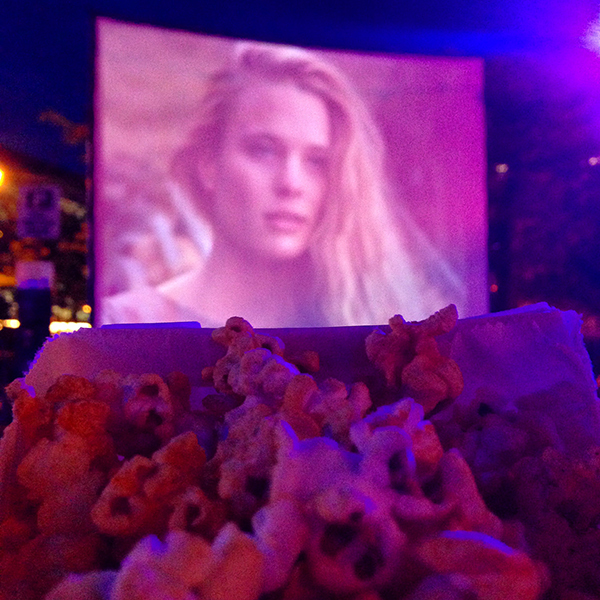 Aprille invited me to the Pedestrian Drive-In movie which was Princess Bride this year. It's sort of like a drive-in movie but you sit on a lawn chair with headphones on. Princess Bride was the perfect film for this! We got a big bag of popcorn, settled in and enjoyed. 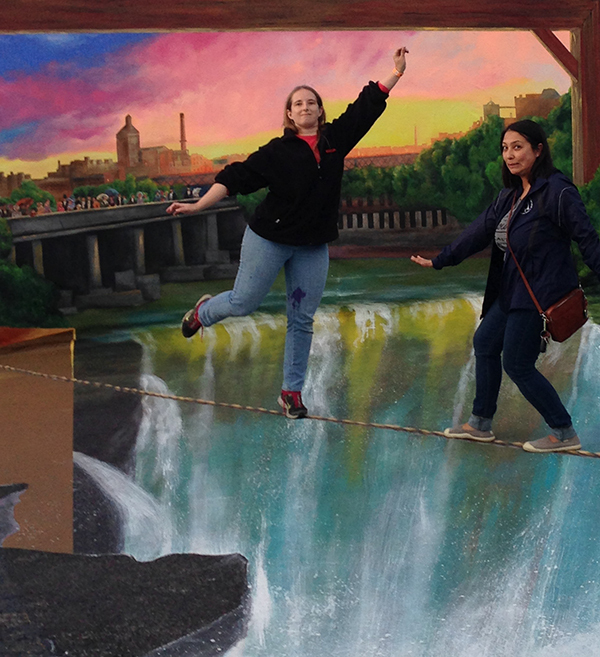 We also posed on a chalk drawing in the Spiegelgarden that made it look like we were walking over the High Falls on a tight rope. Daredevils! I like how Aprille is nonchalantly walking away in the second picture.